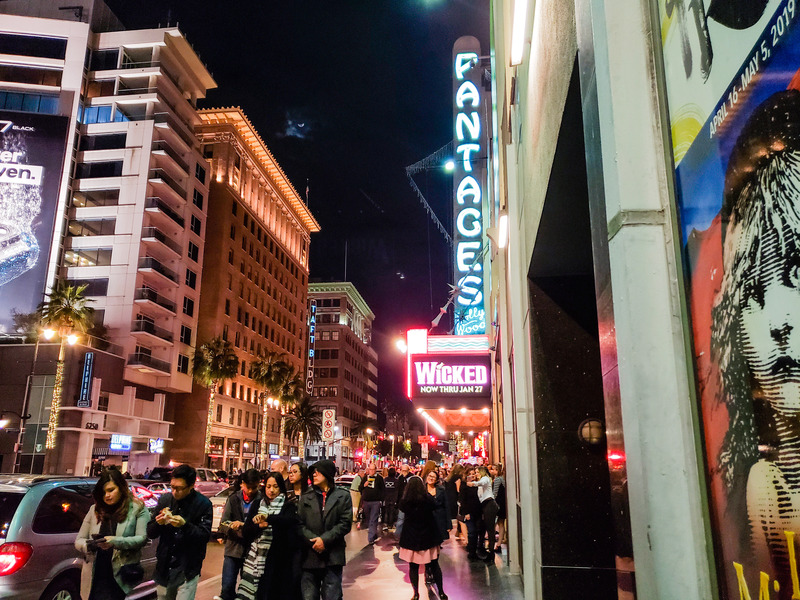 California Baptist University students carpooled to Hollywood Jan. 13 to see the Broadway sensation “Wicked” (2003) at the Pantages theatre. Entering the theater, patrons were greeted by gilded ceilings and lavish decor while waiting for a thrilling show. “(The Pantages) is ornately designed. It’s rare, coming from Northern California, to experience that kind of art and culture rather than super generic-looking buildings. Being in Los Angeles and being that extravagantly designed, the building itself was really cool to experience,” Cantrell said. Sitting in the mezzanine, students watched as “Wicked” (2003) characters Elphaba (the Wicked Witch of the West), Glinda (the Good Witch) and their fellow Ozians told the sto- ry of “The Wizard of Oz” (1939) from a di erent angle. The sto- ry follows a plot not shown in the 1939 classic; it is the story of a time when Glinda the Good Witch and the Wicked Witch of the West were best friends. Andrew Cantrell, freshman computer science major, said he was a big fan of the theater itself, as well as the all-star performance. Having seen the show before, he said this year’s cast performance was even bet- ter than he had expected. “The vocal performance was incredible. Compared to other live musicals I have seen, it’s an eight out of 10,” Cantrell said. This limited-engagement run of the show was a favorite of longtime fans and newcomers alike. With cult classic songs, such as “Popular” and “Defying Gravity,” composed by Stephen Schwartz, the actors cast a spell and had the audience hanging on every lyric. Gianina Chera, sophomore communication sciences and disorders major, said for her, musicals have an entertain- ment factor like no other. CBU students have Community Life to thank for their ability to attend the show, as it sold a limited quantity of discounted tickets to students. Lancers lined up Jan. 9 outside of the Community Life Lounge in the early hours of the morning for a chance to purchase them. Eighty lucky students got tickets to the show. Kristin Holderman, director of Campus Activities, said the students enjoyed themselves. “We sell tickets like this at a discounted rate for students so that they can experience something new and unique with their fellow Lancers,” Holderman said. Cantrell said these events, sponsored by Community Life, have given him opportunities to experience things that he would not be able to otherwise. Holderman said Community Life has planned more events to come this semester, including Lancer Cup, CBU’s intramural soccer championship, Lancer Takeover at Castle Park, and a new event called The Gathering Dinner.